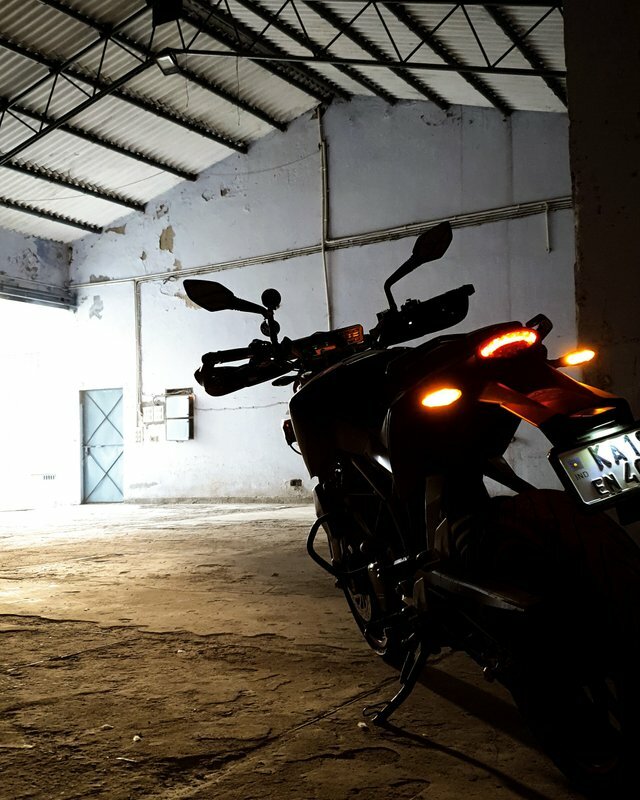 KTM Duke 200 Warehouse PhotoShoot! 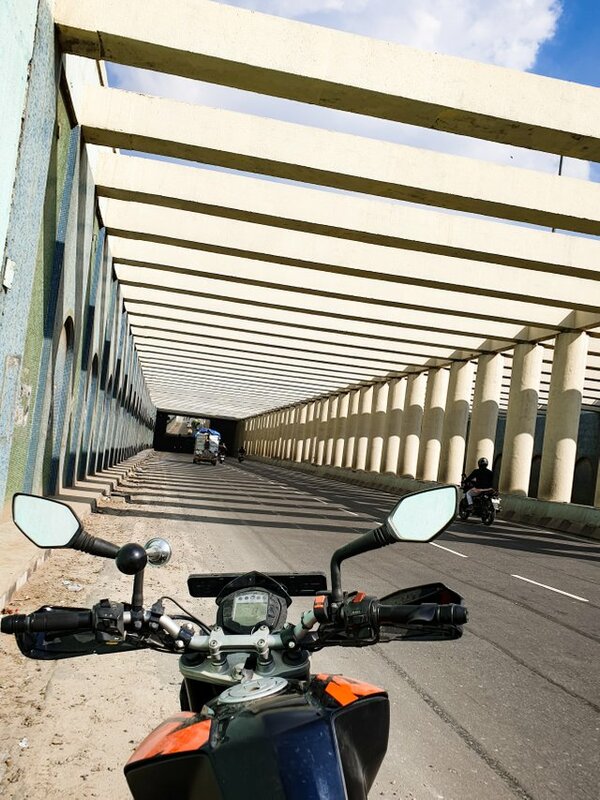 I absolutely love it when I find some cool places that go along really well with my bike for a hot photoshoot. 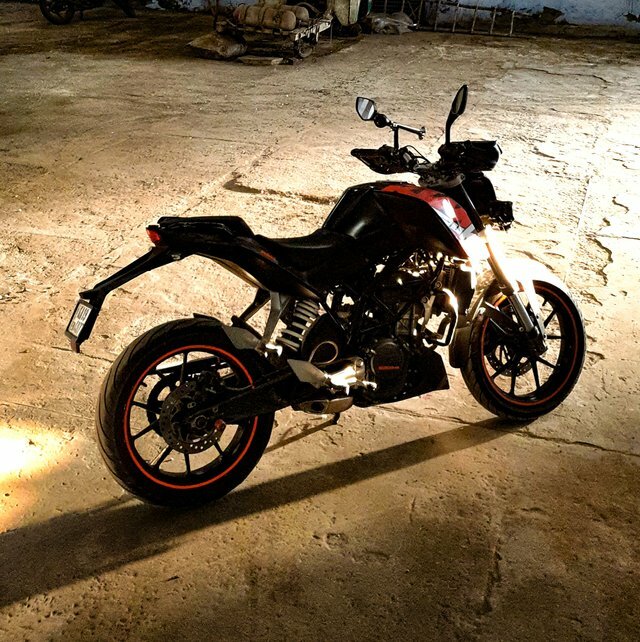 Warehouse being one of the best places to do any automotive photoshoot, I couldn't stop but capture some cool photographs of my bike whom I've named "Freedom". Freedom absolutely loves being photographed and hence I find no trouble in bugging her to pose for various shots from various angles. She readily agrees to model for me and hence you'll find my gallery and Instagram full of her shots more than anything else. She earlier had black and white combo decals and she got bored of sporting it for 3 years. 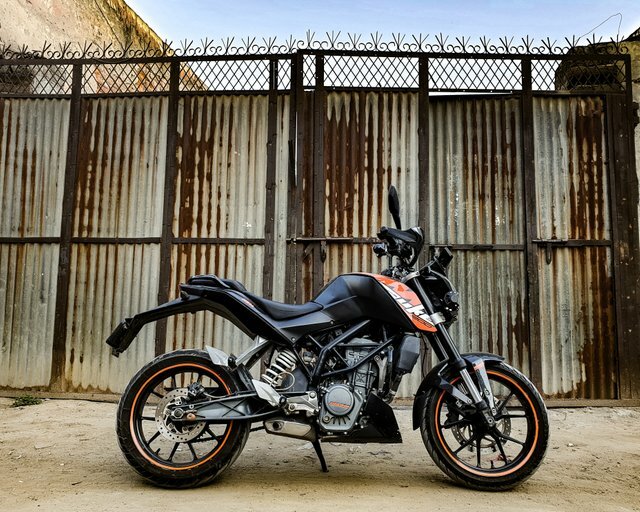 So I got it changed into the signature color of KTM - Orange and Black. What do you think about the decals? So yeah, enjoy these shots from various angles and locations. 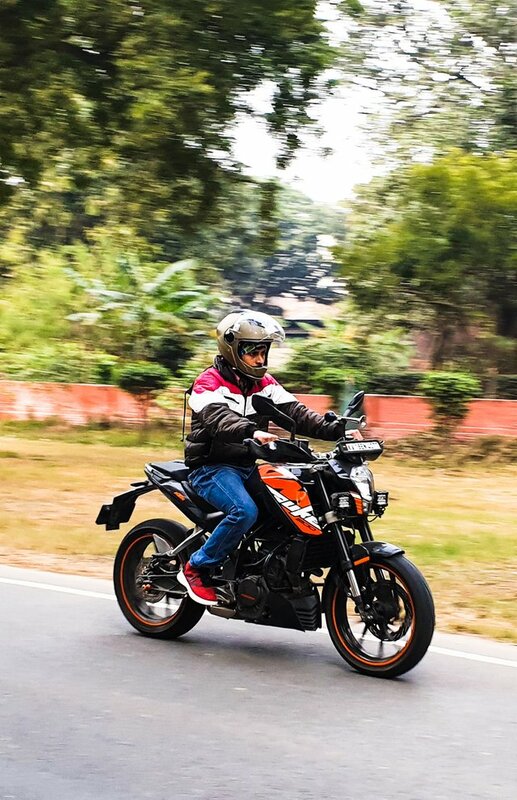 The last shot is how the bike looks while riding and the stance of the rider. Some nice pictures there! I think industrial locations are great for photos. Thanks for the invite. Will check it out. nice bike you have. And nice photography also. 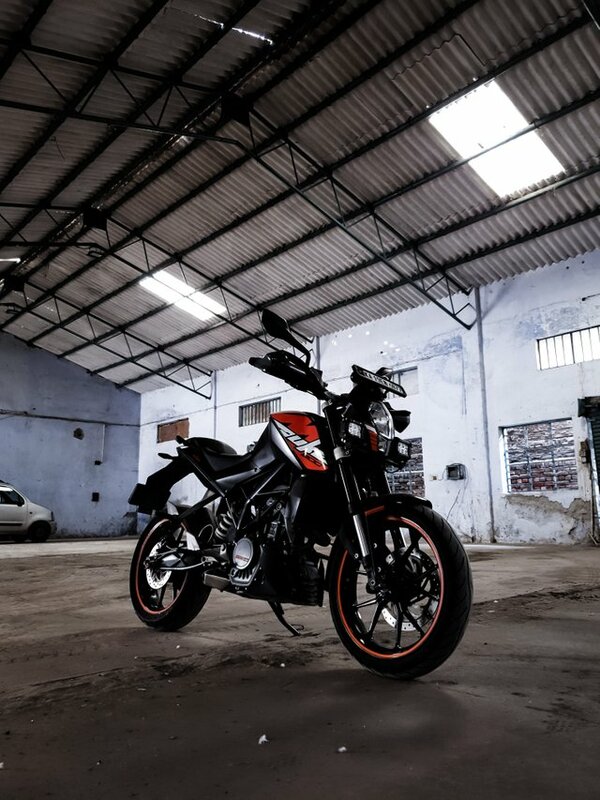 your photography makes the bike more charming. Is not it?